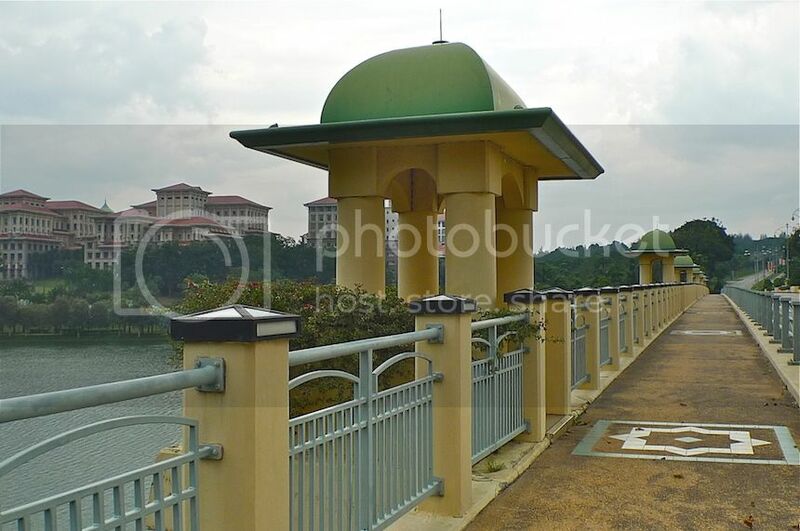 This is the final post in The Bridges Of Putrajaya series. Initially, I wanted to cover all 9 bridges as all of them were unique in their own ways, but I did not have the time to visit all of them. 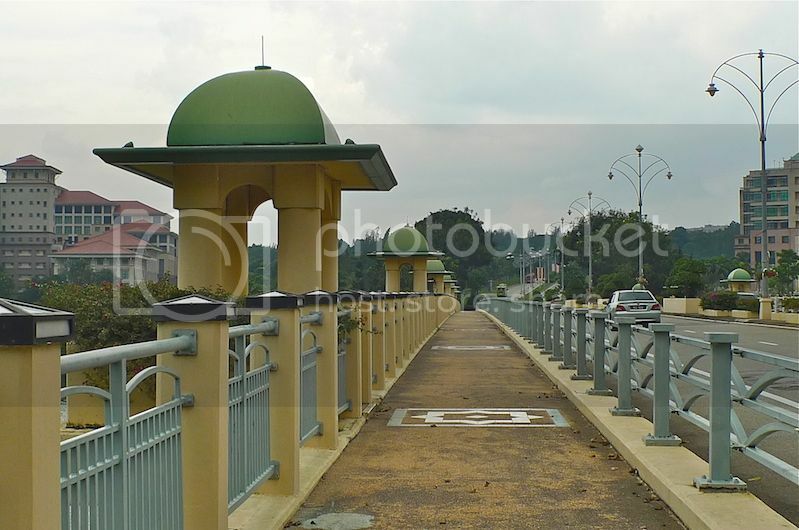 In this Part 6, I am going to share about the Seri Bakti Bridge. 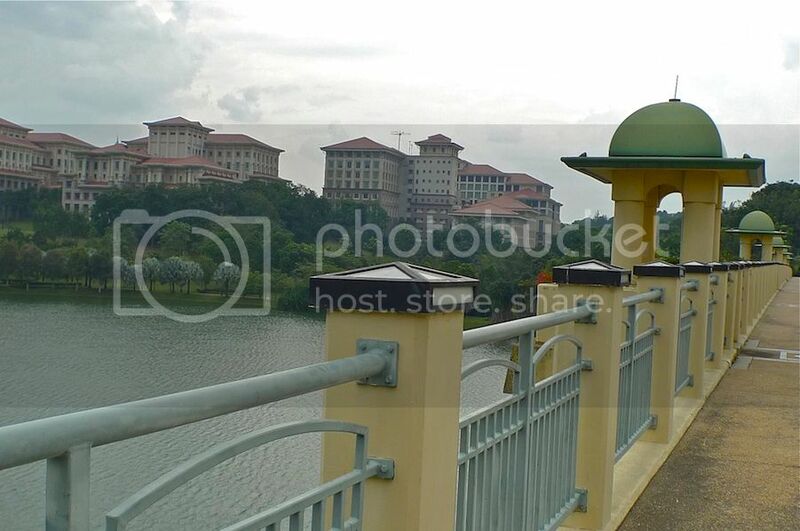 This bridge connects the Government offices in Precinct 1 to the residential neighbourhood which includes the Deputy Prime Minister's Residence in Precinct 16. 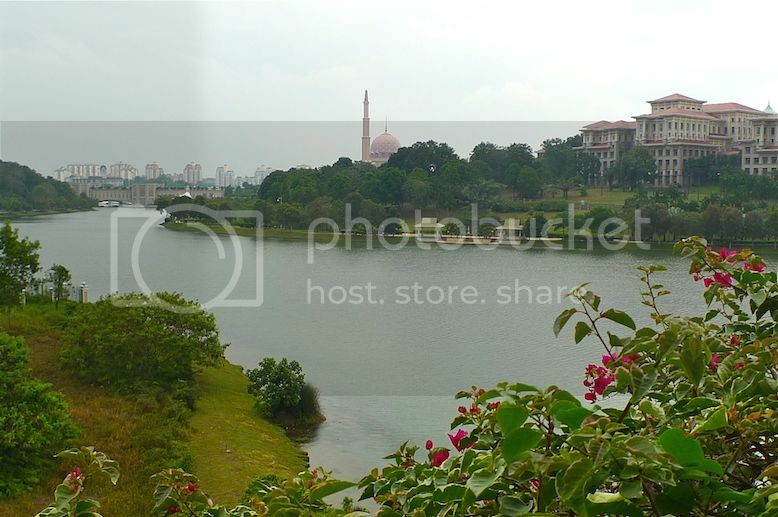 Standing on the bridge, I could see the beautiful scenery of Putrajaya Lake with the pink-domed Putra Mosque in the distance. 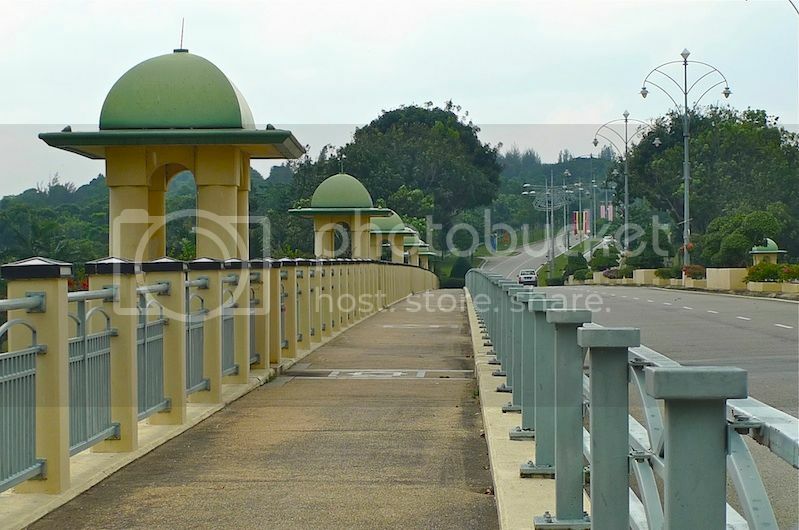 The Seri Bakti Bridge comprises a dual two-lane carriageways, 2m-wide median, and 2.5m-wide walkway and cycle track. Minimalist in design, it has elements of Islamic architecture with a minaret-style pavilion at each pier. Even the lamp posts and railings fit in nicely with the overall design. 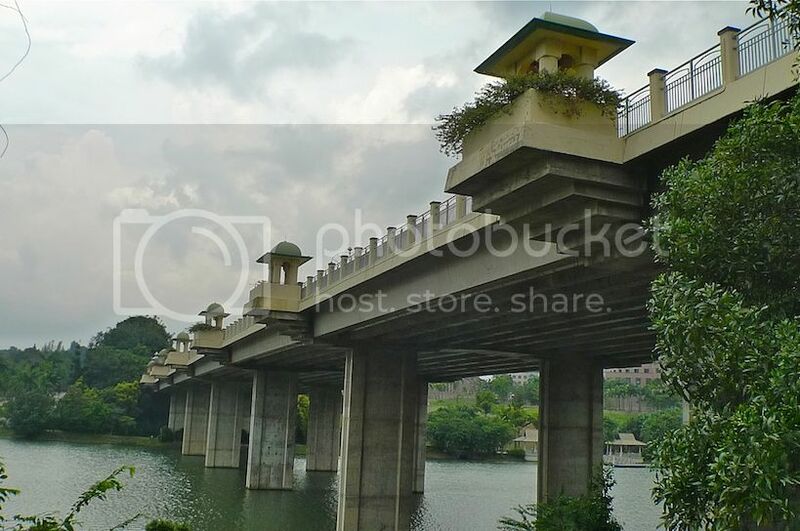 Although this bridge is not as grand and spectacular as other major bridges in Putrajaya, I kind of like it! 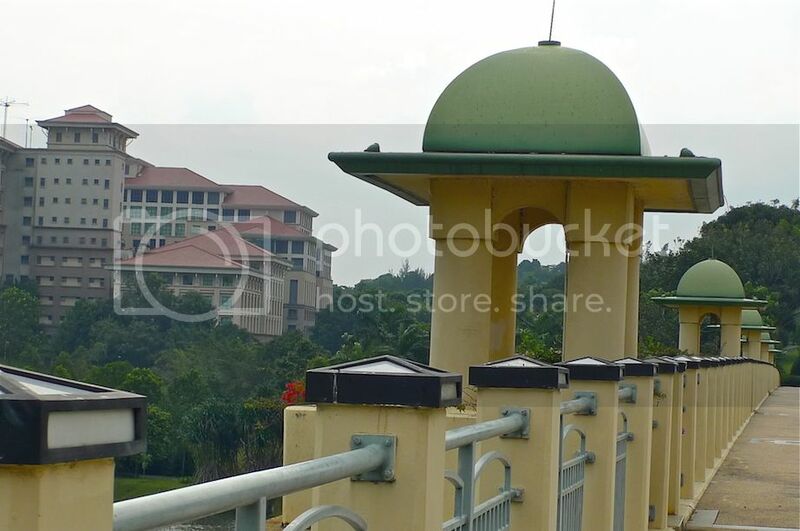 The pavilions with green roofs serve as observational decks overlooking the beautiful Putrajaya Lake. Flowers are planted inside the pavilion to add some greeneries to the concrete structure. Not satisfied with just walking on the bridge, I walked down the steps to the area below the bridge and took this photo. I thought it looks pretty charming from down here. What do you think?